After more than two decades of being distributed in the Philippines by the Columbian Motor Group, the Kia brand was re-launched last January 30 during a grand “unboxing” event at the Rizal Ballroom of the Makati Shangri-La Hotel, a wholly owned subsidiary of Ayala Corporation (AC). Kia Philippines is the sixth brand acquired by the Ayala Group in line with its strategic thrust to strengthen the presence in the local car market of its vehicle distribution and dealership unit, AC Automotive. The Korean car brand was established in 1944 and is the oldest and second largest automobile seller in South Korea, selling 2.81 million vehicles in 2018 in 185 countries through 24 sales offices and over 6,000 dealers. After the opening remarks from ACI President Art Tan, four familiar Kia models were unveiled onstage – the Picanto sub-compact hatchback, the Sportage mini sport utility vehicle (SUV), the Sorento mid-size SUV, and the Grand Carnival multi-purpose vehicle (MPV). The Rio hatchback, the Soul crossover, and the K2500 utility vehicle were conspicuously absent on stage but we were told that these models will still be marketed in the country. There are four available variants of the Kia Picanto with prices ranging from P590,000 to P745,000 and with color choices of Clear White, Titanium Silver, Alice Blue, Pop Orange, Honey Bee, and Lime Light. The Kia Sportage 2.0 Diesel LX will retail for P1.545 million while the 2.0 Diesel EX is at P1.820 million, with Clear White, Sparkling Silver, Cherry Black, Mercury Blue, and Fiery Red as the available colors. ]The Kia Sorento 2.2 Diesel EX 4×2 will be priced at P1.895 million while the 4×4 variant is offered at P2.195 million and will come in Snow Pearl White, Silky Silver, Iron Gray, or Aurora Black Pearl colors. The three variants of the Kia Grand Carnival will be priced from P1.995 million to P2.295 million and will come in Clear White (LX only), Snow Pearl White (EX only), Silky Silver, Panthera Metal, Aurora Black Pearl, and Titanium Brown (EX 7-seater only). 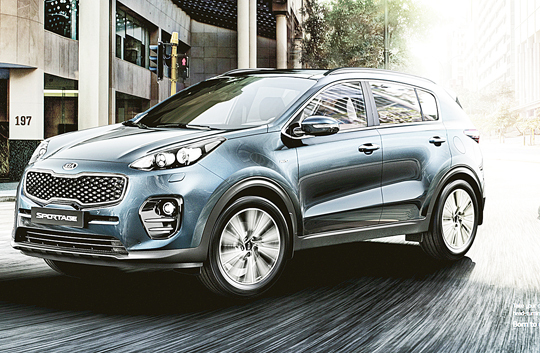 The Kia Soluto is powered by a 1.4-liter Dual-CVVT gasoline engine that produces 95 PS and 132 Nm of torque. The spacious interior is enhanced with a standard 7-inch Touchscreen infotainment system with Android Auto and Apple Carplay, 6-speaker system, rearview camera, and steering wheel controls. There are four Soluto variants with prices ranging from P625,000 to P735,000 and with Clear White, Titanium Silver, Aurora Black Pearl, Blue Stream, and Marcato Red colors as available colors. Kia Motors Asia-Pacific President Ted Lee, Kia Philippines President Manny Aligada, ACI President Art Tan, and Korean officers of Kia Motors Corporation joined Mr. Ayala on stage to offer a toast for the new venture and for the continued success of the Kia brand. The 2019 Kia Soluto and other Kia models will be on public display from January 31 to February 3 at the following venues: Activity Center of Bonifacio High Street in Bonifacio Global City, Taguig City; Level 4 Cinema Lobby of Trinoma in Quezon City, and; Activity Center of Alabang Town Center in Muntinlupa City. Kia vehicles have comprehensive warranty coverage up to five years or 160,000 kilometers.